It is impossible to talk about open world games and not to mention the Grand Theft Auto franchise. There are several titles that could be cited, but GTA: Vice City, the Miami version in the 80s, and the gigantic map of Los Santos in GTA 5, deserve a special place in the hearts of fans of the franchise. Immersion in the scenarios is absurd and the level of detail of the latest edition is impressive. There are other games of the same style of GTA, they do well to create complex and interactive scenarios, such as several volumes of Saints Row and the excellent Sleeping Dogs, for proving that high quality goes beyond Rockstar’s current releases. The Rockstar Games really understands when it comes to producing an open world game. After GTA, the company released Red Dead Redemption, one of the best games released for PlayStation 3 and Xbox 360. 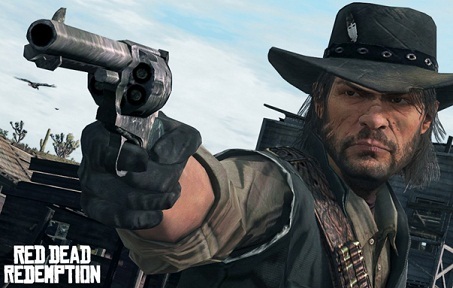 The role of the former outlaw of John Marston, you must go through the southern United States, entitled to a past by Mexico to eliminate former partners in crime and save his family. The story is fantastic, and the possibilities that the game gives the player leave the unforgettable experience. Shooters in the first person also have good genre productions. The franchise Borderlands , known by the visual style, is a fine example by presenting a huge map and full of possible interactions with the environment. Despite not having been so well received by critics, Dead Island is still an interesting example of this style. The game with zombies trapped in an island paradise offers a huge scenery, varied and intuitive to explore. Often explore the site can be more fun than complete missions. Another game that can be excellent is called Far Cry 3. With immense scenario, many characters and quests that can be viewed the way you want the game from Ubisoft is the kind of title that always leaves desire to repeat the dose. Mistaken to think that only games with characters walk can earn vast worlds and scenarios. Vehicles are also part of the style, and the Criterion showed that it could be done masterfully by launching Burnout Paradise, one of the best of the latest generation racing games. Another title, also from Criterion, which can display a whole world to explore the player's Need for Speed: Most Wanted. With races scattered throughout the city and give the freedom to go all over the streets, the game deserves at least an honorable mention. Also, when we talking about open world games we cannot ignore the Need for Speed Underground 2. Perhaps, one of the most beloved games in the Need for Speed franchise from Electronic Arts, which featured an electrifying and ready to be discovered world. Superheroes also give several faces in the world of games, but there are some characters that draw more attention than others. Even at the time of PlayStation 2, the Activision released a film adaptation of Spider-Man 2, which brought the island of Manhattan to be explored. In addition to the normal missions, small cases to help civilians were causing the player to feel himself Peter Parker. For completeness, the games of Arkham series, starring the Batman, had himself expanded universe over time, which gave more space and freedom for the players feel close routine of the Dark Knight. In Batman: Arkham Knight, Rocksteady has managed to create a huge Gotham City and full of challenges, which sometimes let the player to venture into that chaotic city. If there is an open world game that embraces all the chaos that a huge scene of destruction can generate, then it is Just Cause 2. The game, released by Square Enix, also brings weapons, parachute and a hook that can be stuck in absolutely everything. It seems a bizarre combination, but it works so well that it is possible that many players have not yet done half the game's missions, even after several hours of play. All thanks to the various distractions that open world provides. When it comes to RPGs of Bethesda, come to mind huge worlds and ready to be explored. Two major examples are The Elder Scrolls 5: Skyrim and Fallout 3. In The Elder Scrolls 5: Skyrim, you live a medieval adventure that is allowed to fight dragons and, of course, explore a dangerous world, save realms, looting houses and more. Already in Fallout 3, you can walk places devastated by nuclear war, in a Washington taken by mutants, abandoned buildings and one of the best immersive experiences that an RPG can provide to users. Although many turn up their nose to the game, it is undeniable the importance and the quality of the title of Mojang. In worlds created randomly, Minecraft allows players to do everything within the rules of the game. Over time, the community helped to make even greater freedom, which yielded many more hours of play.